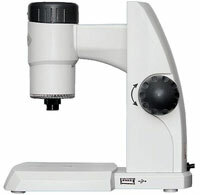 One of a range of quality optical and digital microscopes for examining plant cells. 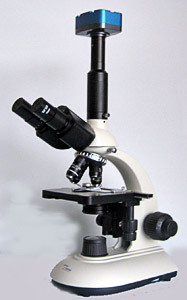 The GS-5 Digital unit shown in middle, with the USB to PC M105 Microscope at right. Download brochure 625KB PDF. 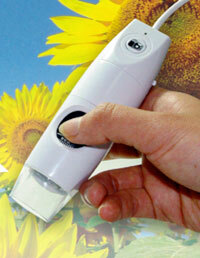 The MeterMan can source a range of quality optical and digital microscopes for agricultural applications. 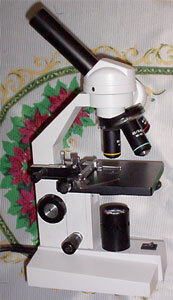 B200T Trinocular Microscope with Achromat Objectives. Condenser Abbe 1.25 with iris diaphragm with rack & pinion adjustment. Blue filter, built in with mains power pack charger. This microscope camera system can be used in the field with laptop as LED illumination is powered by inbuilt battery and camera is powered by USB from laptop.